Pattern uses UK crochet terminology with explanation of US equivalents. 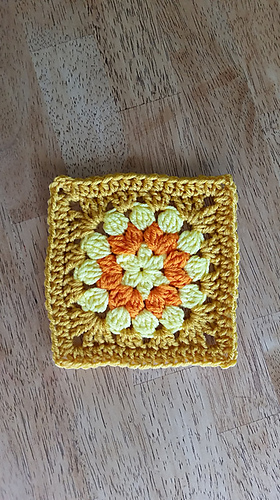 Citron, Spice and Gold are the Stylecraft Special DK colors used for this motif. 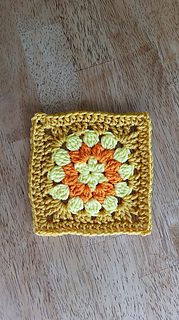 This square should measure 10cm across if used with the “Sunny Log Cabin Blanket”. This measurement will be important so as to not run out of a purchased yarn pack. If your square is smaller or larger, adjust the size of hook used.